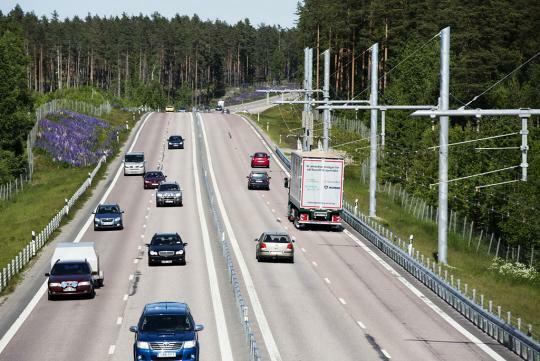 Sweden’s idea of efficient hauling is the implementation an overhead line 'electric road' which they did so recently on 22nd of June. Installed near the city of Gavle in central Sweden, the Swedish Government believes that this is they way forward towards the path of eco-friendly transportation. 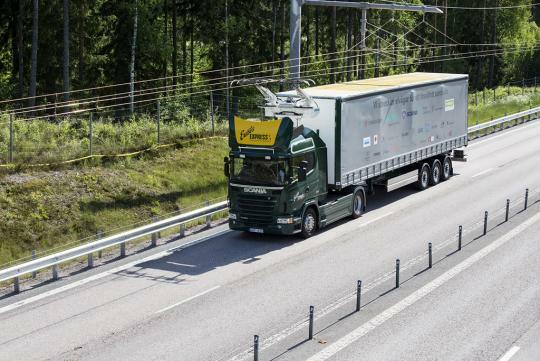 Stretching for two kilometers in length, the 'electric road' uses conductive technology developed by Siemens to power the electrically-driven Scania G 360 4×2 trucks, which will operate under real traffic conditions. When on the electrified lane, the trucks run on electricity only but once the lanes become normal lanes, the trucks will function as any other normal hybrid vehicles. When not powered by electricity, these Scania trucks can rely on their 9.0-litre 360bhp bio-fuel combustion engine that is mated to a battery-operated 174bhp, 1050Nm electric motor. Cannot see it being viable in many countries. The hybrid and fully electric requires less infra structural changes. Not to forget cost and space needed. this set up was mentioned in TOP GEAR by the trio donkey years back. taking the idea from arcade bumper cars.